Kennydale is a Renton neighborhood along Lake Washington and I-405. Kennydale features a mix of established and newer single family homes for sale, some of which have waterfront views. There are nearly 5,000 residents here who enjoy easy access to downtown Renton and The Landing, great for shopping and dining. There are also several parks nearby, including May Creek Park and Gene Coulon Memorial Beach Park, popular for enjoying a bit of green space or lakefront relaxation. 3 Beds | 3.25 Baths | 3550 sq. Ft.
4 Beds | 3 Baths | 2795 sq. Ft.
5 Beds | 3 Baths | 2600 sq. Ft.
3 Beds | 2 Baths | 1454 sq. Ft.
3 Beds | 1 Baths | 1244 sq. Ft.
3 Beds | 3.5 Baths | 4980 sq. Ft.
5 Beds | 2.5 Baths | 3200 sq. Ft.
1 Beds | 1.75 Baths | 1680 sq. Ft.
3 Beds | 2.5 Baths | 2650 sq. Ft.
4 Beds | 2.75 Baths | 3053 sq. Ft.
2 Beds | 1.75 Baths | 1930 sq. Ft.
3 Beds | 2.5 Baths | 2730 sq. Ft.
2 Beds | 2 Baths | 932 sq. Ft.
2 Beds | 1.75 Baths | 932 sq. Ft.
3 Beds | 3.25 Baths | 3740 sq. Ft.
4 Beds | 3.25 Baths | 3215 sq. Ft.
Blue Summit Realty has the most accurate and up to date Kennydale real estate listings on the web. Currently there are 16 homes for sale, 4 condos for sale, and 2 vacant land properties in Kennydale. Of the 22 total Kennydale residential listings for sale 0 are bank owned, 0 are short sales, 0 are new construction, and 0 are townhomes. The price ranges from $269,950 to $0 with a median list price of $960,158 and median sold price of $729,532. Make sure to refine your Kennydale real estate search by property type, price, square footage, bedrooms, bathrooms and more with the search tool above or view the Kennydale listings on our interactive map. 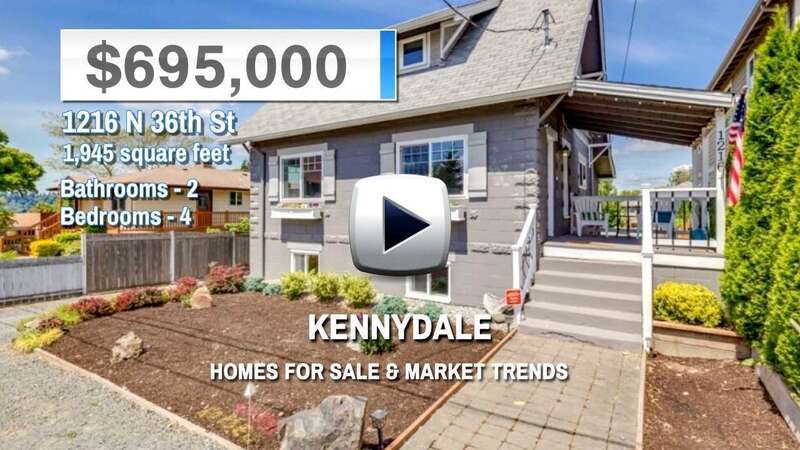 Our Kennydale real estate listings were updated 12 minutes ago.